Film still from Chinese Coin (Red Blood) by UBERMORGEN.COM. In a world where everything is becoming digital (our way of communication, our advertising, our leisure and workplaces), it was only a matter of time before money could be generated in a digital way. Banks and markets have been operating for decades using computerized algorithms and many customers have had digital access to their money for some time now. However, the matter at hand – AlgorithmicEconomy – is more extensive and complex. Which impacts has the implementation of code had in our globalized economy? Which systems have appeared – or will appear in the future? One of the first concepts that emerges when talking about the combination of economics, mathematics, and computer science is algorithmic trading, a practice widely used by investment banks and pension funds that utilize automated preprogrammed instructions to make decisions and execute transactions in the financial markets. This means that nowadays algorithms drive a great number of stock trades. Many systems of these automated activities fall into the category of High Frequency Trading (HFT), which is characterized by such high speeds that a human could never carry them out in the same time nor even close to it. As an alternative to this hegemonic system and its financialization, a new currency called Bitcoin was released online in 2009, followed by many other digital cash currencies, such as Ethereum or Litecoin. But what makes cryptocurrencies different from traditional currencies? As its name implies, they are based on a cryptographic system , which means that the code behind them is elaborated on a system that keeps information secret. Only the people – or more precisely, the programs – that know how to solve it, how to decrypt it, will have access to this information. Cryptocurrencies are also immaterial and decentralized. Unlike centralized banking, where governments control the currency values through the process of printing money, governments have no control over cryptocurrencies: their value circulates on the Internet without the involvement of any intermediaries. To understand the correlations, one has to look at the Blockchain, the system behind cryptocurrencies. Blockchain is an open database that, in this case, stores a history of financial transactions. Single blocks contain various transactions, each of which is linked to a previous record in the chain. 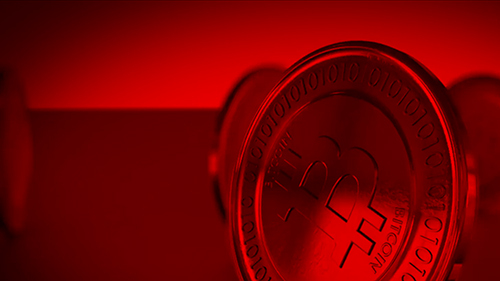 When someone purchases something with Bitcoins, a request in the form of a cryptographic puzzle is sent to and received by all the computers – known as miners – on the Bitcoin peer-to-peer network. When a miner solves a puzzle, a new block is added to the chain and it is rewarded with some Bitcoins. But earning Bitcoins is not the only point of mining: the puzzles are so complex that every new block makes the previous ones and the whole chain a safer environment. Hacking the blockchain would require immense speed to alter just one transaction. With many miners adding blocks continuously, a vast amount of computing power would be needed. Like other disruptive technologies born in the digital age, cryptocurrencies are challenging the way things have been done in economics so far, foreseeing a future in which middlemen would become obsolete. In a world run by blockchain technologies, new tools for business strategies and managing transfers would be developed, shifting “the control of money and information away from the powerful elites […] to the people to whom it belongs.”  While many people argue that these models will disrupt the centralized economic and political establishments, others say that they will severely impact our job market and only benefit those in the upper echelons of the workforce. It is not possible to predict the future, but to understand the world we live in and the economy we are building, we necessarily need to recognize and analyze the power of algorithms and computation. The term cryptography derives from Greek κρυπτός, kryptós, which means “hidden” or “secret,” and γράφειν, graphein, Greek for “writing”. See Henry George Liddell and Robert Scott, A Greek–English Lexicon, Oxford University Press, 1984. Paul Vigna and Michael J. Casey, The Age of Cryptocurrency: How Bitcoin and Blockchain are Challenging the Global Economic Order, St. Martin’s Press, New York, 2015, p. 6.